The company was founded by Richard Weber in 1944 under the name Unis in Radebeul near Dresden. It was named Metra in 1954. 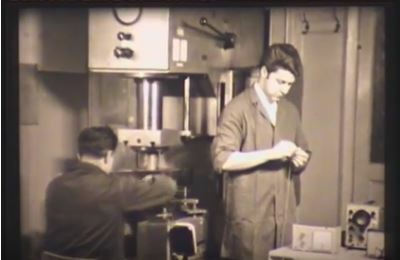 In the late fifties Metra began to manufacture the first piezoelectric sensors. This pioneering technology was introduced at Metra by Prof. Lenk and Dr. Erler. Reason for this development was the increasing demand for vibration sensors by the emerging aircraft industry. During the sixties and seventies Metra developed a broad range of vibration sensors and instruments. Metra developed and produced own piezoceramic materials. In 1970 the first shear-type accelerometers were designed. In 1972 Metra was nationalized. In 1981 Metra became part of the Präcitronic group. During the seventies and eighties Metra evolved into the prime supplier of piezoelectric vibration sensors for the Eastern European economic zone (COMECON). Main market was the Soviet Union with over 30 000 accelerometers sold per year. In 1989 the first IEPE compatible accelerometer was developed. In 1990 Metra was re-privatized to Manfred Weber, the son of the founder. From 1990 began a far-reaching readjustment to the markets of Western Europe and overseas and a process of radical consolidation. Metra concentrated on vibration measurement equipment. The product ranges cinema sound and general low frequency instrumentation have been discontinued. Metra is an internationally established manufacturer of piezoelectric vibration sensors and related instruments with a broad range of products. The firm has over 25 employees in development, production and administration. Because of its size Metra is predestined to react quickly and effectively to customer demands. With Michael Weber joining Metra the family business was passed on to the third generation.